Micaiah the son of Imlah. This is the last prophet King Ahab wants to seek wisdom from. In Matthew 22:42, Jesus asks the religious leaders an important question, "What do you think of the Christ?" During the holidays, that is a question people should consider, a question that should challenge us to the core, yet it is a question many choose to ignore. The truth that in Jesus, God became flesh and dwelt among us, is a truth that should call upon us to recognize, remember and rejoice in all that God has done. He is a God with a perfect plan. He is a God who knows exactly what He is doing. He is a God who is a loving Father (Galatians 4:4-7). Knowing and believing these truths about God should move us and motivate us each and every day. Through the power of Immanuel, God with us, we are able to live in obedience, give thanks, spread His good news, grow, find His strength and be filled with His wisdom. What are you focused on this Christmas season? What do you think of Christ? Is He your Lord and Savior? 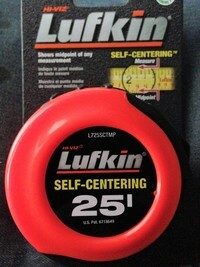 For Father’s day this year my kids gave me a new set of bits for my cordless drill and a tape measure. I was excited because I can always use a new set of bits and no matter how many tape measures you have you can always use one more. As I was looking at my gifts I noticed that this was not just a plain old tape measure, it was a self-centering tape measure. When a person is restoring or building something, it is always important to work from the center for everything to turn out right. I have no idea how many times I have had a calculator out trying to figure out the center of something. Well, with this tape I will not have to do that anymore, it shows you the midpoint of any measurement (if you can find the tape measure when you need it). Take some time this week to think deeply about Philippians 2:1-4. 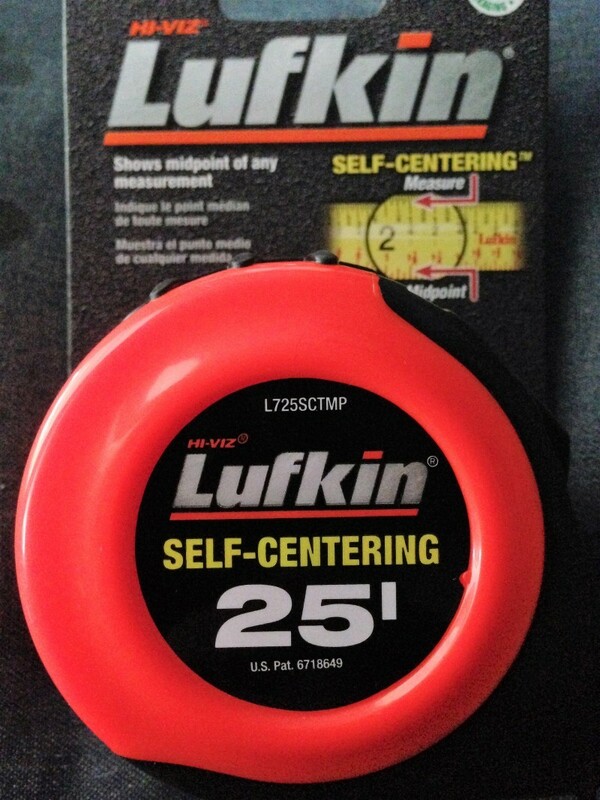 In this passage, Paul tells us to “do nothing from selfish ambition or conceit, but in humility count others more significant than yourselves.” When we are not allowing the Spirit of God to work in our lives, we are very much like this self-centering tape measure, everything we do and say is selfishly motivated. The Bible tells us that we are self-centering sinners. At the mid-point of our hearts is that infamous two letter word ME. What would happen if you took a leap of faith, turned to Jesus Christ and made Him the center of everything you do and say? How would your life change if you truly strived to do nothing out of selfish ambition or conceit but in humility counted others as more significant than yourself? Who is ruling at the center of your life? Are you ruled by the infamous ME or the Savior Jesus Christ? I am never more miserable than when I allow ME to become my focus and I am never more content than when I allow Christ to be the center of all that I do. May God help us to keep Jesus as the center of our lives! This week a friend let me know that the blades on their riding lawn mower were worn out. I quickly volunteered to fix this problem for them and assured my friend it would be done in no time. I have changed riding lawn mower blades many times and it usually only requires a couple of tools and about 30 minutes. I removed the mower deck and discovered that the nuts holding the blades in place were stuck. I tried using breaker bars and air impacts to bust the nuts loose, and they would not budge. I heated the nuts up with a torch and finally broke one of the nuts loose, but the other nut remained firmly in place. After so many attempts to loosen this nut it finally stripped, and I was really in trouble then. 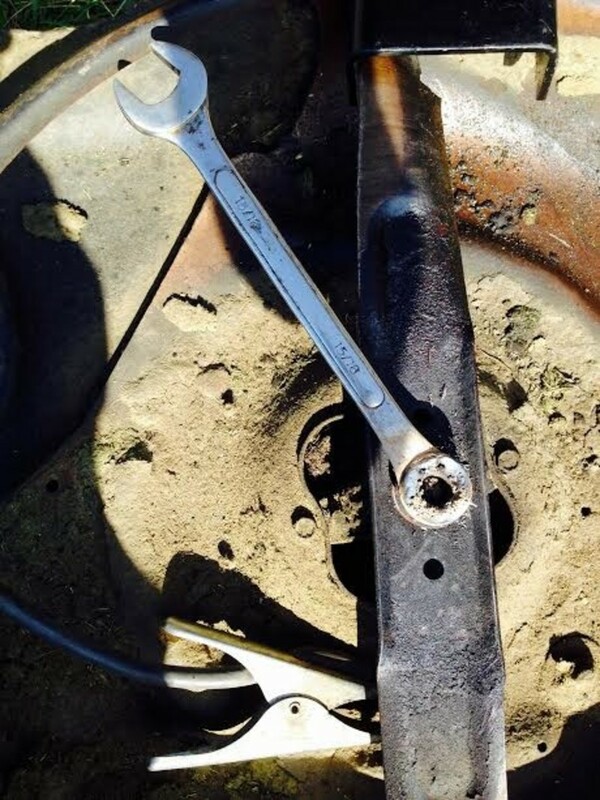 It was time to get creative, so I got an old 15/16 open end wrench and welded it to the nut, and finally, it broke loose. Now I have to order a new nut and what should have taken 30 minutes to fix is going to take a few days. This situation is a lot like life. When we have problems, we are always looking for the quick fix. We want God to fix us as long as it does not take too long or hurt too bad. We want to give that one tithe that makes everything better. We want to offer up that one prayer that will cover everything. We want to attend that one service that wins God’s favor for all time. God does not work that way. 15 Practice these things, immerse yourself in them, so that all may see your progress. 16 Keep a close watch on yourself and on the teaching. Persist in this, for by so doing you will save both yourself and your hearers. A real relationship with God requires that we daily practice His Word and immerse ourselves in Him. A real relationship with God means we keep a close watch on our thoughts, emotions, words and behavior. A real relationship with God means we persist. We do not give up, and if we do not receive an answer or a solution right away, we keep trying, keep learning, keep growing and keep persevering until God gives us His answer or His solution. Keep practicing. Keep immersing. Keep watching. Keep persevering, while you are working towards a solution, God is working on you. Yesterday, I took my first bike ride, as a 40-year-old. I was inspired by two 80+ year-old youngsters who ride their mountain bikes ten to twenty miles down our county road every morning. I mentioned to one of these octogenarians that I was inspired by their commitment to ride and was thinking about riding myself. He was excited to hear that and let me borrow one of his spare mountain bikes to get started on. 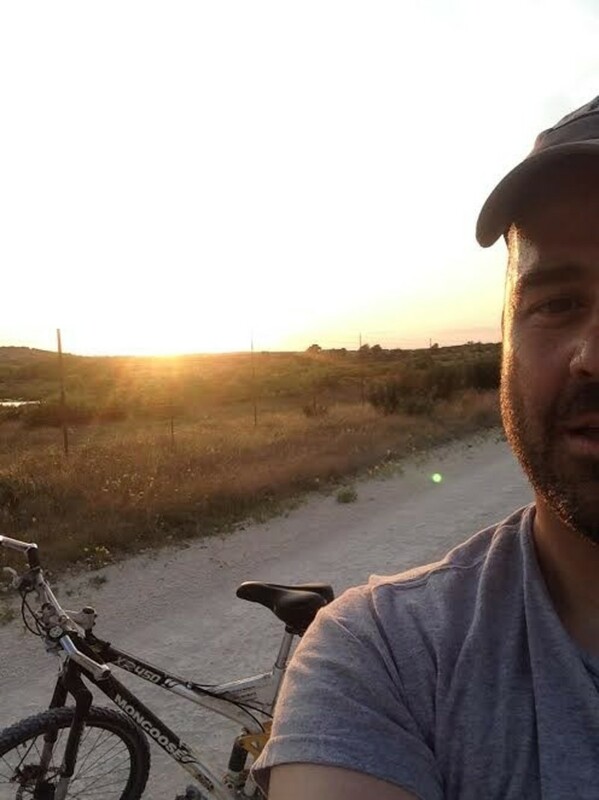 Well, yesterday evening I decided to give this mountain biking thing a try, so I grabbed my borrowed bike, aired up the tires, oiled the chain and took off. As I left my house, the wind was in my face, but the road was fairly flat, and all was going smoothly until about a mile into the ride I hit the first hill or “rock pile” as my 80+ year-old neighbors affectionately refer to them. Going down the rock pile was pure joy, the wind was in my face cooling me off, the bike was flying effortlessly and then all the sudden when the uphill started all momentum was lost, and the struggle began. I was switching gears, pedaling with all the effort I could muster and longing for the next rush of downhill joy. After thinking about this ride, it reminds me of life on this earth. We have moments of exhilaration and joy that are quickly cut short by the daily grind of uphill life. Galatians 6:9 reminds followers of Jesus not to grow weary of doing good, for in due season we will reap if we do not give up. Don’t give up on that uphill climb because pure joy is waiting just over the next hill.